What You Need to Know About Sole Proprietorships in Florida - Portuondo Law Firm, P.A. Deciding which business entity to file under will be one of the more challenging decisions you’ll make before you open your business. One of the types of business entities available in Florida is the sole proprietorship. Many feel this is the logical choice, especially when running a business on their own. If this fits your description, you will want to learn more about this business entity before you make your choice. Here are some things you need to know about sole proprietorships in Florida. You can create a sole proprietorship simply by going into business. For example, most contractors are sole proprietorships. Unless you have a co-owner for your personal business or you have specifically filed paperwork with the state of Florida to organize under a different business structure, you are a sole proprietorship. Although you don’t specifically have to file paperwork for your sole proprietorship to exist, you may end up doing so. Check with the state department or file an online application. You still need licenses and permits. All businesses need the appropriate licenses and permits. It’s important to check with your city, county, and state small business offices to ensure that you have all of the appropriate paperwork approved before you begin working. The licenses and permits required for sole proprietorships vary by industry and location. Filing taxes is relatively simple. This is partially because the IRS sees the sole proprietor and the business as the same. Any income that the business receives should be reported and taxed through your personal taxes. You are responsible for any company debts or lawsuits. On the flip side of receiving all of your company’s income, you are also responsible for any debts or lawsuits. This means that you are personally responsible for any debts incurred by your business. Unlike other business entities that separate your personal assets from your company assets, sole proprietorships roll them both into one. This is great news if you’re successful, but it can be very stressful if you’re not. Similarly, if someone sues you, they aren’t limited by your company’s assets. Instead, they can go after your personal assets as well. It’s this feature of sole proprietorships that often makes small business owners consider other business entities. With so many business entities to choose from, it can be difficult to decide which entity is the right one for you and your business. 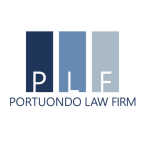 At Portuondo Law Firm, we would love to answer any questions you have to help you choose what’s best for you and your Florida business. Give us a call today at (786) 440-8615 or contact us online.